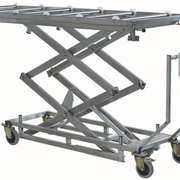 The lifter is constructed from stainless steel with a double scissor lifting frame. 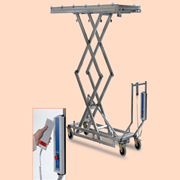 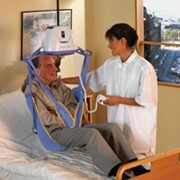 The electric lifting is assured by a manually activated system. 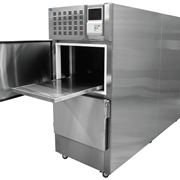 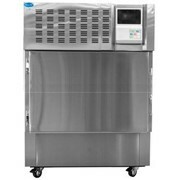 It is equipped with a flow regulator in order to prevent the load from lowering too quickly. 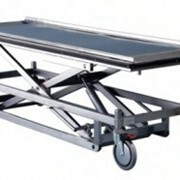 The supporting plane is used to place the stretcher that will be inserted in the mortuary cabinet. 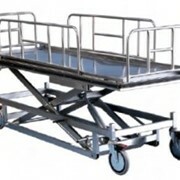 The trolley is equipped with two steering wheels and to free wheels. 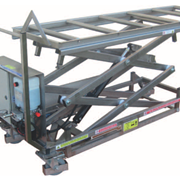 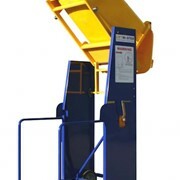 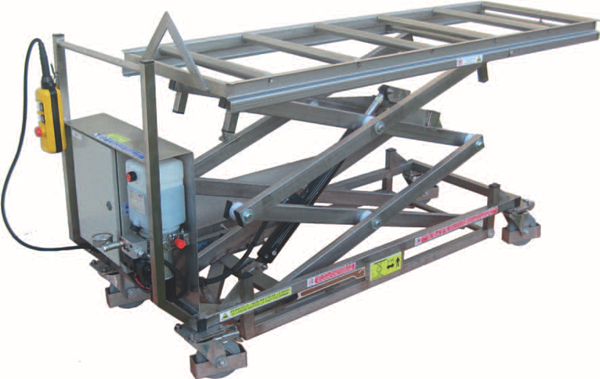 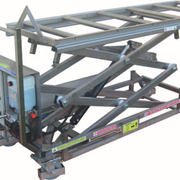 The lifting plant has a high power rating than the standard lifter.